The Council on Legal Education Opportunity (CLEO), has had a successful track record mentoring and guiding college students interested in a career in law. CLEO recently launched a new initiative to reach high school student, to introduce them to the opportunities afforded by a legal career. 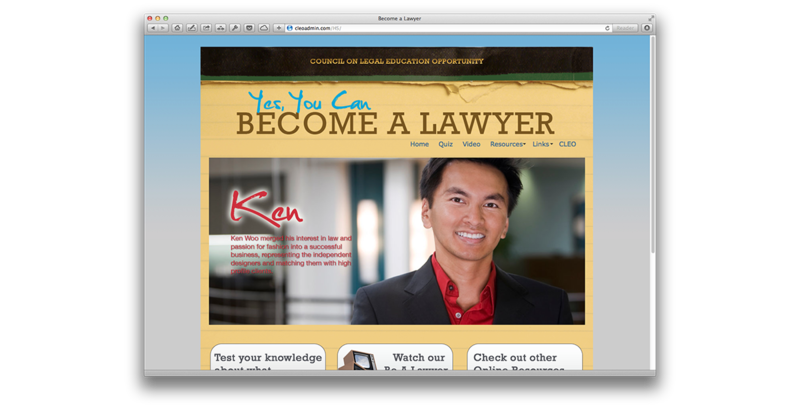 We worked with CLEO to develop an online resource that teens and teen educators use explore all the possibilities of a law school education. It starts with quiz that tests the users current awareness of what it means to be a lawyer and includes resources for offline legal education experiences and a study guide for educators and students to use in a classroom environment.